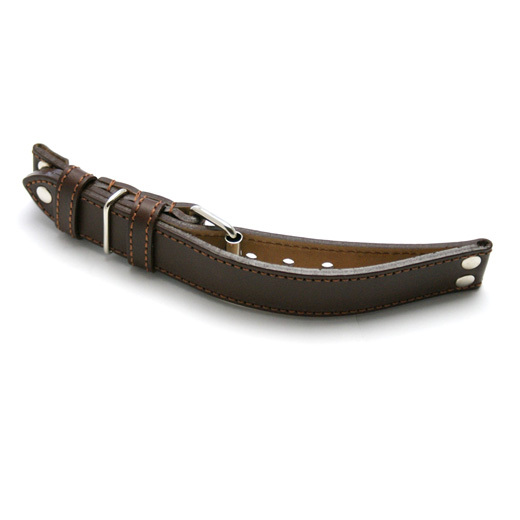 Finest Quality, hand made in Germany using a fifty step process and with a keen attention to detail, this rugged, heavy duty strap matt tan brown calf leather watch strap is adjustable with three keepers (two leather, one stainless steel) and brown detail stitching. It is very robust, with a smooth matt surface, five rivets and is a special adjustable two-layer design. It is suitable for pilot / aviator watches and anyone looking for something special for their sports or chronograph watch, but is not suitable for those with small wrists. 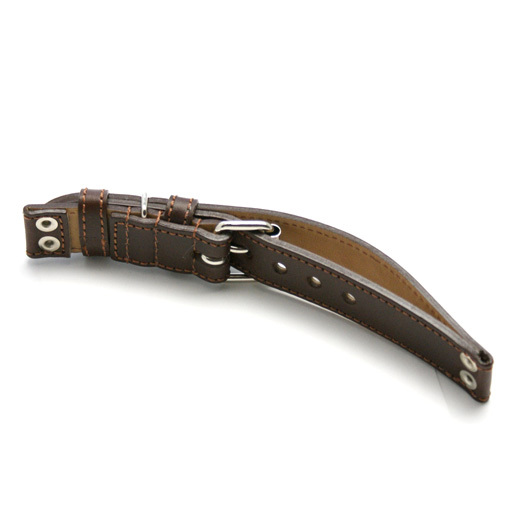 This strap will fit any watch were the distance between the lugs is 22mm or 24mm (depending on the strap you buy). Like all of our products, it is brand new and in stock in the UK, ready for our super fast shipping. 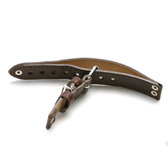 Please note: the metal parts are not made of rust-free material and this strap is not recommended for small wrists.